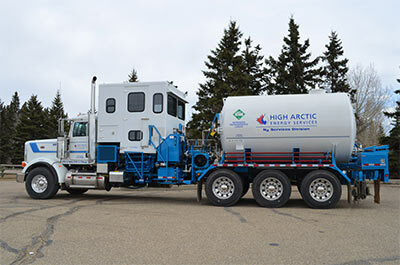 High Arctic’s fleet of Nitrogen (N2) Pumper Units operate onsite to deliver nitrogen to the oil and gas industry when and where required. 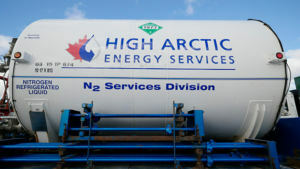 With High Arctic’s multiple N2 supply sites, you’re assured of fast service throughout Alberta and British Columbia. The majority of our fleet (low-rate) uses a Heat Recovery Vaporizer that deploys waste heat from the pumper unit; the Vaporizer removes the need for open flame to convert the liquid nitrogen to gas. This closed heat system means that our low-rate N2 Pumper Units can be deployed close to the well head or any other environment where an open flame poses a risk. 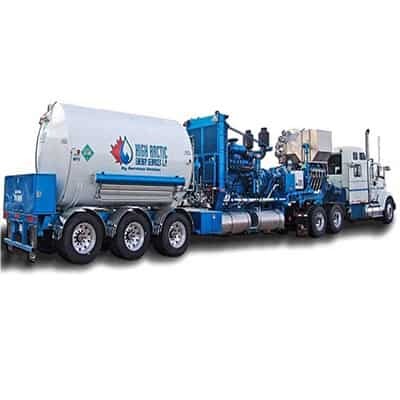 Each Pumper Unit is operated by highly competent, professional, safety-oriented supervisors, each of whom is highly trained in the specialty of N2 delivery. High Arctic provides 24/7 support and dispatch as well, so your job productivity is maximized. 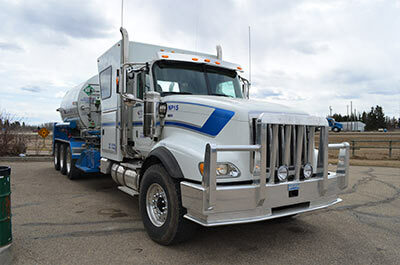 Whether your needs are well-site completions, production, pipelines, or plants, all your nitrogen requirements can be handled by our N2 Pumper Units, and our complete resupply and backup services. With a 21,000 scm tank capacity our Nitrogen Transport Bulkers are available 24 hours a day to supply our customers with large volume requirements. When not directly working for a customer, we keep our bulkers on the road, topping up our nitrogen pumpers wherever they may be. By continually refilling our pumps remotely, we can keep our operators rested and our equipment readily available for the next call. Our operation facilities are well positioned to meet the service demands of a wide variety of completions and workovers in Western Canada.